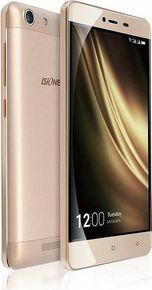 Gionee Marathon M5 Mini expected price in India is ₹11,999. Gionee Marathon M5 Mini is close to Marathon M5 Lite in terms of hardware, except for the chipset being used. Also, since its a Gionee Marathon series handset, it includes the signature beefy battery. The Gionee Marathon M5 Mini has been launched in Nigeria as of now and there is no word on official availability in other countries as of now. The handset isn't 'Mini' if you go by the footprint it occupies. There is a 5 Inch 720p HD display confined within the 143.5 x 71 x 9.6 mm casing. The Gionee Marathon M5 Mini is powered by 32 bit MT6580 Cortex A7 based chispet, assisted by 2GB RAM and 16GB storage, which certainly feels like a dated combo in 2016. You can also add another 128GB MicroSD secondary storage to store multimedia content and other data. Software is Android 5.1 Lollipop based Amigo 3.1 UI. For photography, there is 8MP rear camera with LED Flash capable of recording 1080p HD videos and a 5MP front selfie shooter. The chipset doesn't support 4G LTE connectivity either so you will have to rely on 3G. Other notable features include Bluetooth 4.0, GPS, USB OTG and a 4000 mAh battery. You won't be able to buy Gionee Marathon M5 Mini in India anytime soon. If it does, we expect the lowest price of Gionee Marathon M5 Mini to be around 12,000 INR. You can tap the notify button above to keep tabs on the online availability and lowest price of Gionee Marathon M5 Mini in India.